Set on a south-easterly facing slope with views of the Skirrid and Black Mountains, Little Oasis Pandy has an ancient orchard at the top of the hill, a miniature working watermill, a magic tree (you’ll have to climb it to see why), a picnic and croquet lawn and plenty of shady spots to sit and admire the view on a hot summer’s day. 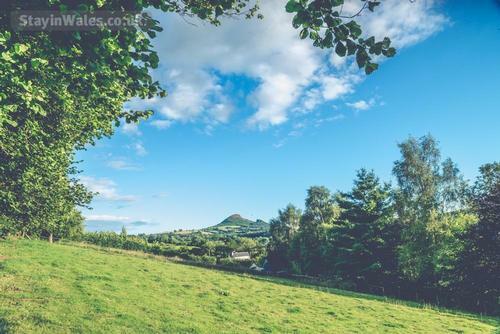 You are welcome to walk through our fields and the orchard at any time, and to sample the abundance of blackberries and apples that we have in late summer and autumn. 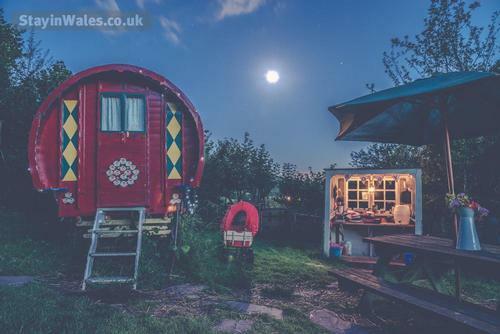 You can feel closer to nature, enjoy the comfort and romance of the wagon, help out with our chickens, geese, ducks and sheep or just enjoy the privacy of your own hideaway. 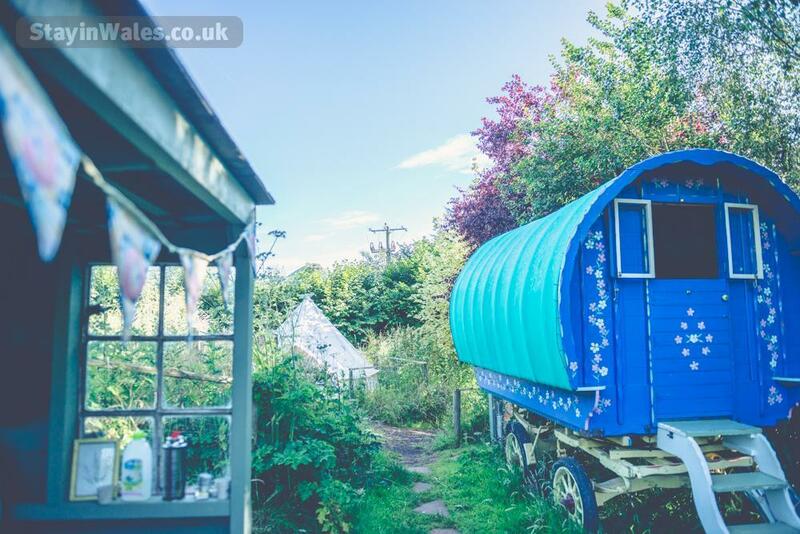 We have two beautiful bow-top gypsy wagons (Josie and Rosy) which have been newly refurbished for 2013 and are perfect for an idyllic glamping retreat. Each wagon is nestled in its own private enclosure with an outside seating and dining area, firepit and camping kitchen. No camping holiday would be complete without an outdoor fire so a stash of logs is provided which should be enough for camp fires (but if you need more, these can be bought from the house). 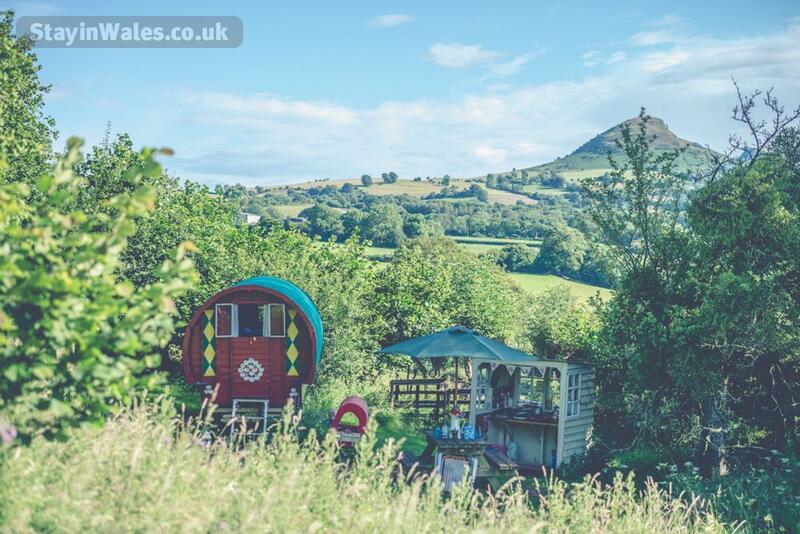 The wagons comfortably fit 2 adults and 2 children for a magical family holiday, a couple for a romantic getaway or an artist looking for a retreat. 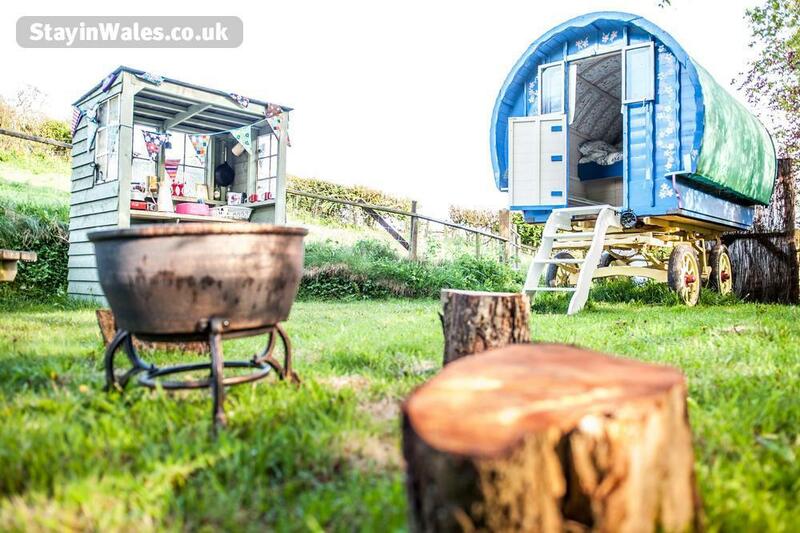 Each wagon has a double bed and space for two rollout mattresses on the floor. All bedding is provided. In the daytime there is a fold out table and seating for relaxing inside your wagon. There are clever cupboards for the rollout mattresses, bedding, the bone china and cookware. At night, the bed pulls out to a double and solar powered lights create a cosy and intimate feel. 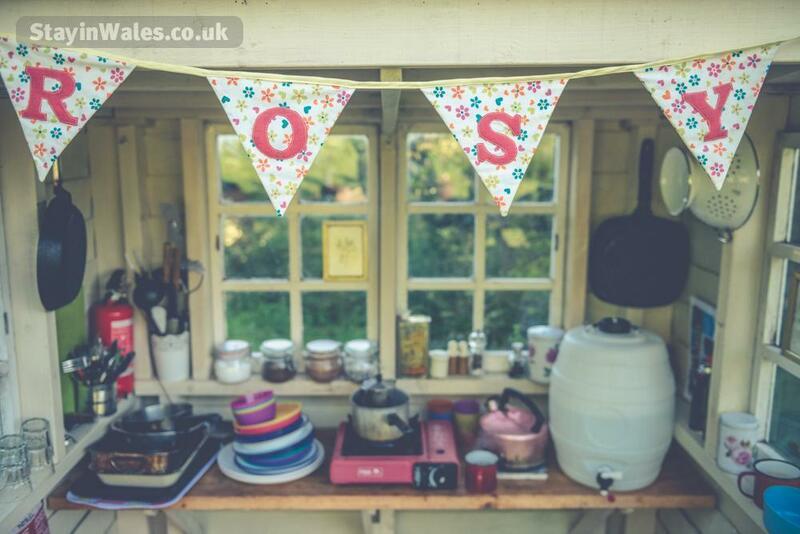 Each caravan has its own composting toilet located just a few metres from the front door. 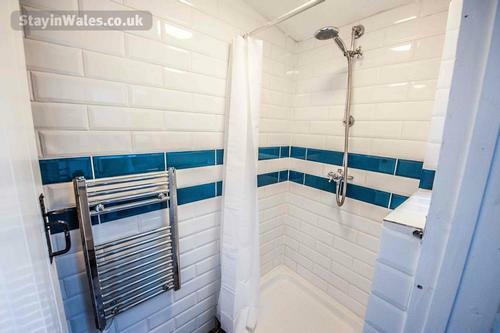 If composting toilets are not your thing, we have a traditional flushing toilet and a solar heated shower in the barn, a short walk away from the pitches. Josie is on the edge of the woodland area, accessed via the main track and a short gently sloping path. 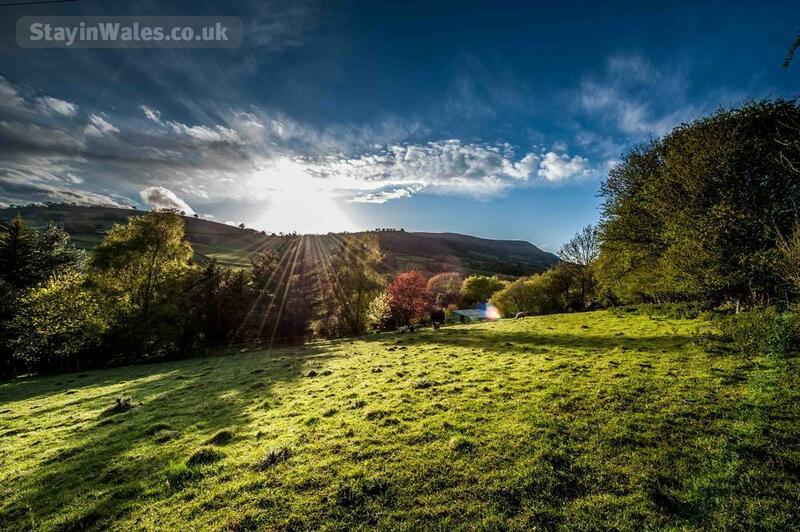 The pitch is surrounded by one of our meadows in which you will probably find our sheep grazing. 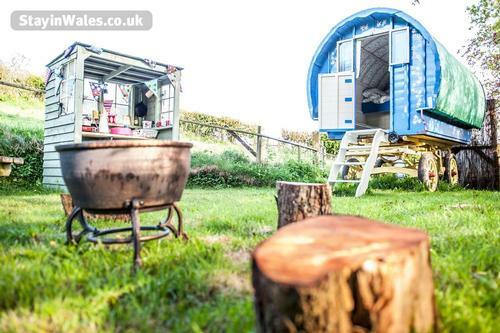 Josie is cosy, sheltered and is the closest of the caravans to the toilet and shower block. Rosy is located further up the hill to take advantage of the views of the Skirrid Mountain, Hatterall Hill and the Black Mountains. Rosy is set in the middle of the Orchard and it is a fairly steep 20m walk to get up to the pitch. Rosy is very secluded and surrounded by beautiful views with rare grasses and wild flowers that change throughout the season. 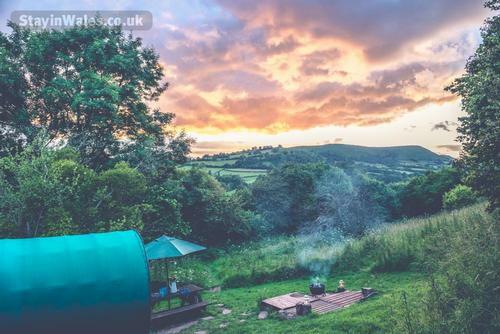 We know that one of the most stressful things about a camping holiday is making sure you pack everything you need and lugging the huge bag around with you. So we made a list of everything we would take on a camping holiday and we aim to provide it all for you during your stay so that you just need to bring yourselves, a change of clothes and some wellies. Saucepan, frying pan, kettle and coffee pot. Toilet roll, soap, shower gel, shampoo, washing up liquid. Solar LED lighting inside and outside the caravans. 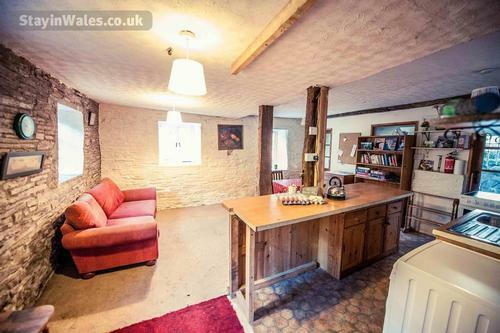 You also get access to the barn where you will find a sofa, games, books, a cooker, sink, fridge, freezer washing machine and a heated drying rack. We also offer a range of extras should you want to treat yourselves.